At iD Tech, we have many people here who have been with us for years and years. 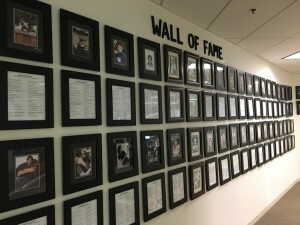 In fact, we have a Wall of Fame in our Main Office dedicated just to them.. that’s right, a whole wall! One iDer in particular, Nina Lord, actually started with us out at camp 15 years ago! Although her camp days are behind her, she keeps the camper spirit alive at our HQ as she now works on our engineering team. We had the chance to sit down with her in a one-on-one interview to learn more about her and her life at iD Tech! Can you tell us about your iD journey? “My first year with iD was as a camp instructor at our UCLA STEM camp in summer of 2003. Two years later, I discovered that the Main Office was hiring for year-round positions. I could tell from their website that they had improved the camp experience since I had been there, and I knew I wanted to continue my relationship with this company. So you’re a Requirements Analyst currently at iD Tech. How would you describe what you do to a child? What’s your most memorable facepalm moment? Before working at iD Tech what was the most interesting or unusual job you've had? What do you do for fun when you aren't working? Given a chance, who would you like to be for a day and why? 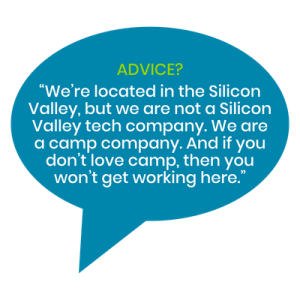 What advice do you have for prospective candidates interested in working at iD Tech? iD Tech is not only a place for professional development but also for personal growth. We love our people and strive to give them all the tools necessary for success, and if we can help find the perfect fit for their skills and career goals along the way, that's a plus!